Can You Name These Writers? Update: The winning responses were announced on December 9. Here at The Paris Review’s offices, we’re often uncovering oddities from our archive: our “Twenty Year Index,” content from our very first Web site, festschrifts from bygone anniversaries. Last week, though, we discovered something entirely different: an illustration by Anthony Russo depicting a Paris Review office chock-full of literary heavyweights. And we’ve decided to have some fun with it. 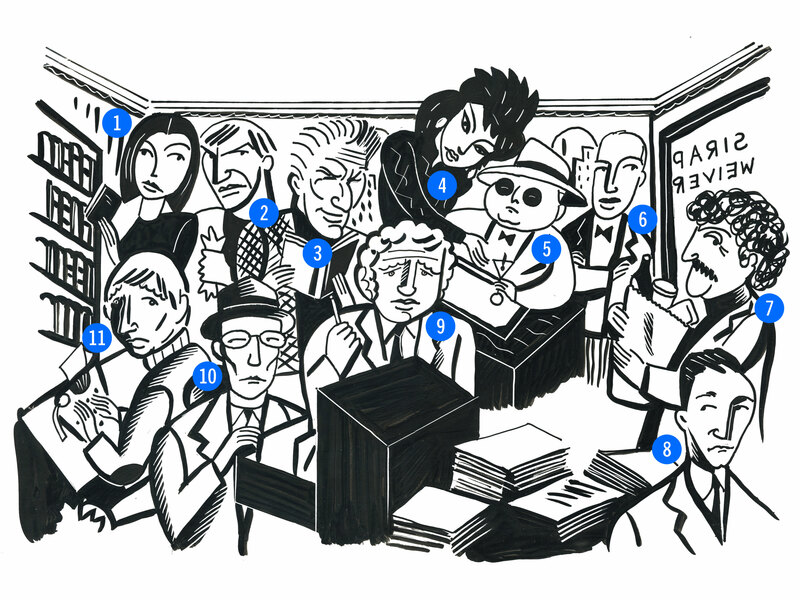 If you can correctly identify all eleven writers in Mr. Russo’s illustration, we’ll give you a free one-year subscription to The Paris Review—along with a copy of our new anthology, The Unprofessionals. Just send an e-mail with the names and their accompanying numbers to [email protected]; the first three correct lists will win. Stephen Hiltner is the senior editor of The Paris Review. You can find him online on Instagram and Twitter.